The current leader in quality exterior house protection, seamless gutters in Houston, TX have quickly become a favorite for homeowners thanks to the resiliency, strength, and long-lasting quality which they allow. 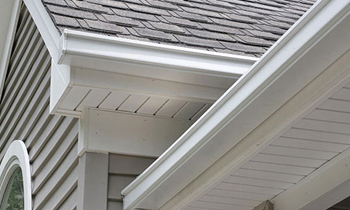 The Next Level Exteriors gutter installation Houston, TX team have likewise embraced the advancements of Houston seamless gutters and are now providing full service coverage for seamless gutters in Houston, TX from installation to inspection, repair, and gutter cleaning in Houston, TX. If you’re interested in upgrading the reliability of your home’s rain gutters with modern seamless gutters in Houston, TX then there’s no better time than now to call your local Next Level Exteriors professionals at (281) 402-8286. Call today and schedule your free at-home consultation and estimate with the experienced Houston seamless gutter specialists right in your neighborhood!